Photo: A picture of hope and transformation. Once abandoned and in despair, Lydia is now in a loving home where she is excelling in school and discovering her hidden musical talents. We are happy to report that all of the children living in our 6 orphan homes in Myanmar have done very well in school since starting a new semester in June. We have 6 children enrolled in preschool (ages 3-5) where they are learning mathematics and the English alphabet. We have 4 children enrolled in kindergarten (ages 5-6) where they are studying their native Burmese language and English. We have 33 children enrolled in primary school (ages 6-12) where they are studying English, their native Burmese language, geography, and history among other basics such as math. We have 54 children enrolled in middle school (ages 12-16) where they are studying English, Burmese, geography, history, science, and math. We have 23 children enrolled in high school (ages 17-19) where they are studying English, Burmese, geography, history, science, math, biology, and physics. Our students in kindergarten through high school have been working hard to prepare for their end-of-semester exams coming up soon in October. When the children are not studying, the boys enjoy playing football and the girls love to sing, dance, and watch TV during their free time. This is the story of Lydia. * We found Lydia when she was seven years old in a village where she had been abandoned by her parents due to a divorce that ended in overwhelm for her single mother. She and her older two siblings fended for themselves in the village, resorting to begging for daily sustenance, but it was nearly impossible for them to survive without parents. Their circumstances were made more difficult by the fact that they lived in a very remote rural area inaccessible by roads, one day’s walk from the nearest town. However, by the grace of God a local ‘good samaritan’ family was able to help them until they could place them in orphan homes. It was at that time that we heard from the man of this family who had knowledge of our work and we made the decision to take Lydia under our care. 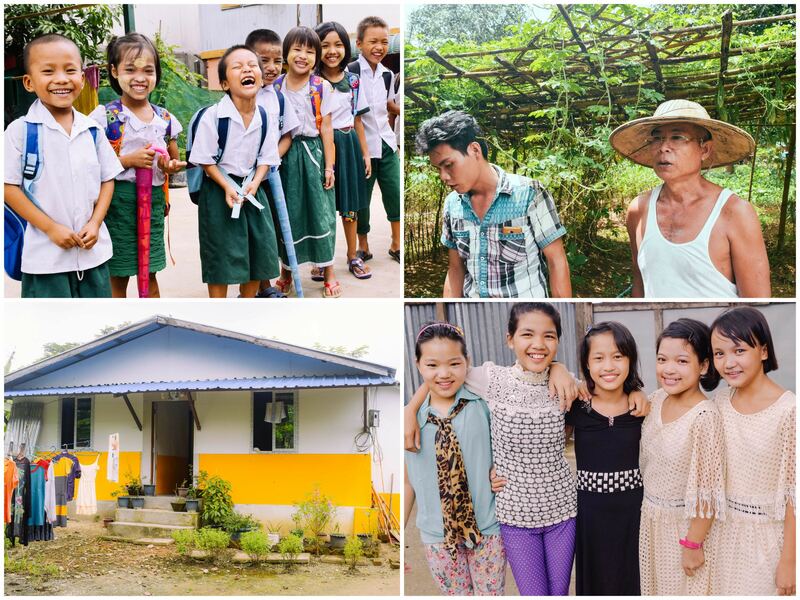 Photo inset: (Top-left): All of the children living in our 6 orphan homes in Myanmar have been doing very well in school. (Top-right): All of the orphan home directors have home gardening projects to supplement the diets of the orphans with fresh organic vegetables. (Bottom-left): One of our Myanmar field directors started a new business enterprise by building a small rental home on the land of our previous piggery. 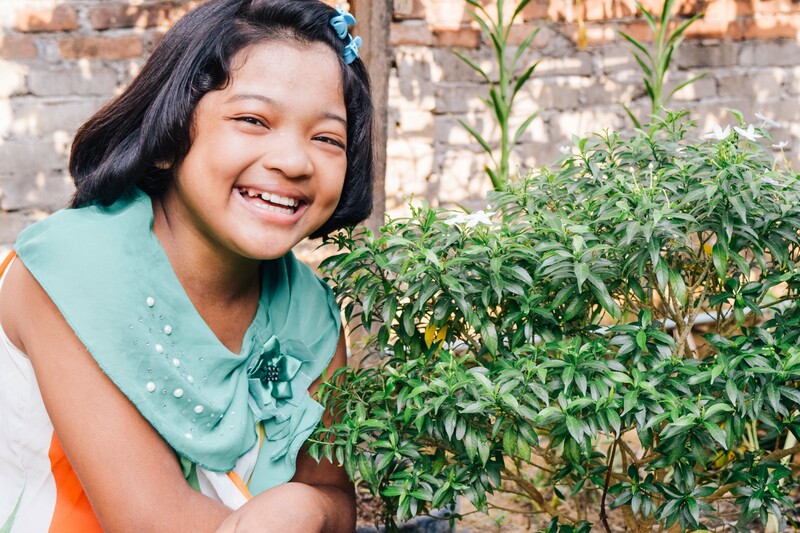 (Bottom-right): Lydia, an orphan abandoned by her parents, is now happy and thriving with her “sisters” at one of our Myanmar orphan homes. In other good news, our 6 orphan home directors recently started some new small business opportunities. 5 months ago, they built a small home on the land of our previous piggery — our native team receives $50 dollars per month by renting the home to a local family. It may not seem like much, but when considering that the average Myanmar citizen earns about the equivalent of $118 per month, you can see that $50 is a significant amount of money locally. In addition, our orphan home directors have been tending to a gardening project on our main campus to supplement the diets of the orphans with fresh organic vegetables, such as chilies, okra, pumpkin (pumpkin leaves are a favorite in many local dishes), and mustard greens which are harvested daily. Along with providing the children with quality nutrition support, the garden projects will also save the directors money they would have spent on the vegetables in the market. Now they are seeking to generate some profits from piggery projects. With your support, all 6 orphan home directors need to raise $500 each to build their backyard piggeries and purchase a mother pig and 3-5 piglets. The pigs will be sold in the market once they reach maturity, thus providing additional funds for our Myanmar programs. Lastly, one of our orphan home directors is seeking to buy new land — he rents a house for his orphans and family to live in. Every year it seems their current landlord has a change of heart about allowing an orphan home to operate on his property, and then doesn’t allow our director to renew. Our hard-working director has to search high and low to find a new home, and it’s very difficult to find one that will allow so many children. Thus his dream is to have his own land and own his own home. He has saved up $5,000 and now needs your support to raise $15,000 more for his land upon which he will build his own home. We are continually thankful for your abundant prayers and generous support making the work that we do for these children and our native team possible.